Lovely elephants vector for your savannah, exotic fauna, African animals or Asian wildlife designs. 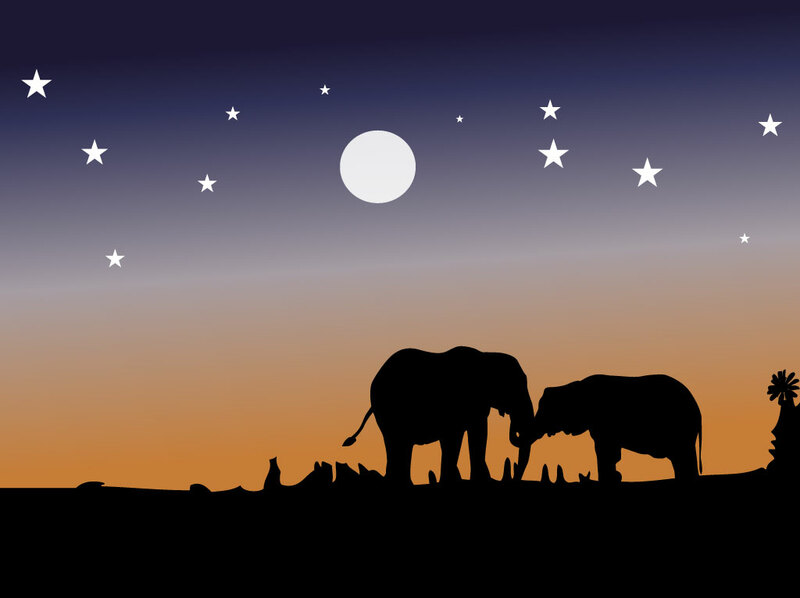 Vector silhouette style scene of two elephants standing on the horizon in the early night. The light from the setting sun can still be seen in this free nature scene. Download this peaceful design for a lovely desktop wallpaper, calendar background or nature themed postcard. Beautiful illustration for your love, romance or family designs. Tags: Adventure, Animals Vector, Exotic, Jungle, Safari, Savannah, Tourism, Travel.